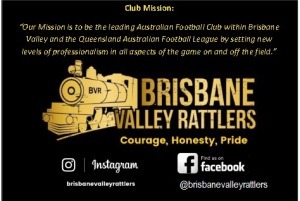 Brisbane Valley Rattlers Junior Football Club is aiming to be the pre-eminent place to play, watch and be involved in AFL within the greater Somerset region. Brisbane Valley JAFC is located at the new Fernvale Sports Park on the Brisbane Valley Highway. Brisbane Valley JAFC is entering our third season of operation in 2019 with the following teams on the field Under 8s, Under 9s, Under 10s, Under 11s, Under 12s, and Under 14s as well as Under 11s, Under 13s and Under 15s girls. 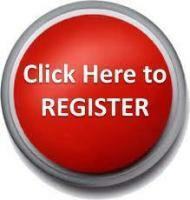 Our mission is to promote the game of AFL across the Somerset Region to all age groups by working with the community to develop an understanding of the importance of participation and by developing a coaching culture based on the principle of learning and fair play. We invest time in Auskick programs and maintain a positive attitudes to our stakeholders, the children. We are fair in the application of our Club rules and ensure there is financial discipline pertaining to all Club expenditure. We respect all ideas and views. Rattlers are courageous, Honest and Proud!